The mission of the Schingoethe Center of Aurora University is to foster inquiry, celebrate artistic excellence, preserve and perpetuate Native American cultures, and inspire a lifelong engagement with the visual arts. An agent of and catalyst for teaching and learning on the Aurora University campus, the museum is integral to the academic community. The museum provides cultural and historical enrichment that builds bridges between the classroom and the world beyond. Building on its tradition of object-based learning, the museum brings people and objects together using interdisciplinary approaches. State-of-the-art exhibition spaces combine with a lecture hall, classroom space, study center, and our library and rare book collection, to facilitate access to the collection. The museum also serves the broader community with unique exhibits and programs. The Schingoethe Center supports Aurora University's continuous 100-year tradition of valuing the arts. Connoisseurs and collectors of Native American cultural artifacts, Herbert and Martha Schingoethe had long felt that Aurora University was a great educational asset to the community and region. In 1989, this belief, along with their desire to encourage others to learn about America's original inhabitants, prompted them to commission the building of Dunham Hall. Named in honor of Martha's family, Dunham Hall provides the setting for the Schingoethe Center for Native American Cultures, which opened to the public in 1990, as well as for the University's School of Business and Public Policy. 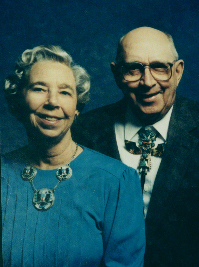 The Schingoethes donated their collection of over 6,000 items of Native American arts, artifacts, and related materials and, in addition, provided major support for the Center and its activities. Martha Dunham Schingoethe passed away on February 17, 2004, Herb on March 18, 2005. In the years following the establishment of the Center, they had continued to take a close and active interest in the museum and its programs, and we will miss them very much. On the video kiosk in the museum you may also view selections from a video interview with Herb and Martha. The Schingoethes made a major contribution, both to the educational enterprise of the University and to the cultural life of the Aurora community, through their collections and their support of the Center. We invite you to come and share in this rich legacy. 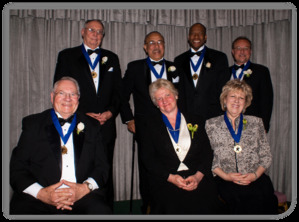 On January 22nd, 2010, Herb and Martha Schingoethe were inducted into the Fox Valley Arts Hall of Fame class of 2010. This posthumous award honors their generous service to the arts and culture of the Fox River Valley by recognizing their partnership with Aurora University to create the Schingoethe Center for Native American Cultures. They are the first to be honored under a new category entitled "Arts Patrons and Benefactors." Meg Bero, the Executive Director of the Schingoethe Center, was on hand to accept their award. View the Fox Valley Arts Hall of Fame site. View Herb and Martha Schingoethe's biography.